Lindy DAC review | What Hi-Fi? It will take more than a fetching finish to convince us that this new Lindy isn’t a re-badged CYP AU-D3. Not that there’s anything wrong with that, mind you. 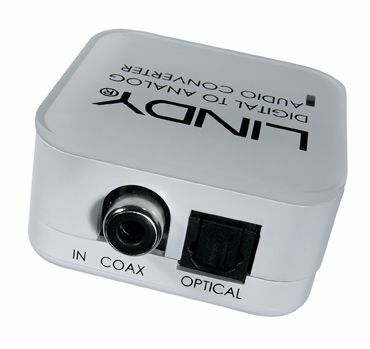 Like others at this price point, you get a simple little box that plugs into the wall, and that accepts signals through optical or coaxial sockets before outputting them through stereo RCAs on the opposite side. We’ve done the comparison and the Lindy does sound just like the CYP AU-D150 – and both sound better than the Neet DAC. Play the new album from Aussie indie-discoers The Naked and Famous, and the beats hit harder and with greater weight and solidity behind them. Switch to The Unthanks and there’s more space and three-dimensionality to the folky soundstage, and more drama to dynamic shifts. There’s a bit of treble hardness, though. The gains offered by pricier kit makes it worth stretching if you can, but if £40 is your limit, the Lindy or the CYP AU-D150 are for you.